The importance of pacing and spacing is one of the most useful things I learnt on the Pain Management Programme I attended. The aim of pacing and spacing is to break the ‘boom and bust’ cycle whereby I overdo things on ‘good’ days and then pay for it afterwards. 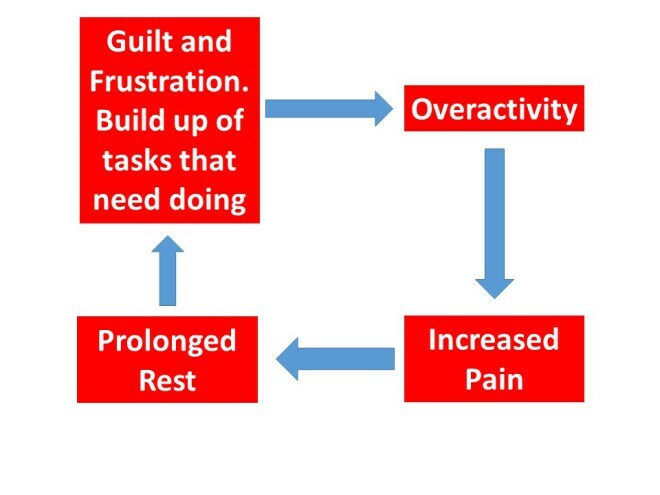 It’s a vicious cycle: Overactivity leads to increased pain. Increased pain leads to prolonged rest. Prolonged rest causes feelings of guilt, frustration, and a sense of tasks that need to be done building up. That leads to more overactivity and the cycle continues. Previous Post Introducing FibroFlutters – one year on and finally got a blog! Next Post Which 3 of these aspects of your Fibromyalgia cause you the most distress?